Xiaomi Mi Re 1 Flash Sale ,Redmi 3s Prime Rs 1 Sale ,Redmi Note 3& Mi4Mobile Sale : Mi India Is Back Again With Its Diwali With Mi Flash Sale, In Which Mi India Is Offering Redmi 3s Prime ,Redmi Note 3 & Mi 4 just for Rs 1 only . Xiaomi Mi Re 1 Flash Sale will be live between 17th to 19th Oct2016. Xiaomi Is Celebrating Its Diwali Sale During 17th to 19th October 2016 . During this sale xiaomi will offer great deals Xiaomi Smartphones and Accessories . 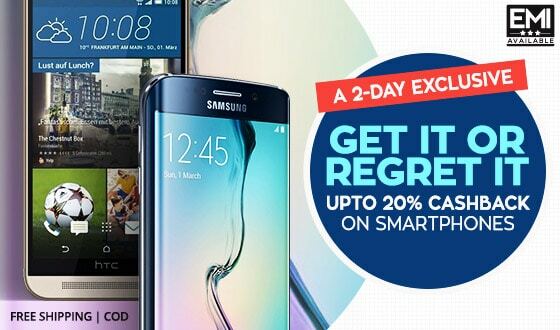 In addition to this there will be Re 1 Sale Each Day @ 2 PM on Mi India Website . Limited phones will be available for flash sale. So you need to be super active to grab your favorite Mi phones at just Rs.1 😀 . Xiaomi promises to announce more jaw dropping offers on Oct 14th 2016. Moreover you can get up to 25% off on accessories and great discount on Redmi and Mi phones. Xiaomi is also giving laptop stickers, keychain and usb fans as festive gifts on all orders during Mi with Diwali sale days. So guys get ready for Mi Diwali Sale 2016. Diwali with Mi Sale will proceed according to the following schedule & rules. There will be a ₹1 flash sale every day at 2pm during Oct 17-19, 2016. All flash sale results will be announced on Mi Community daily. To be eligible for the Rs 1 flash deal, click the share button and share it to your Facebook before 16th Oct, 2016. Click on Buy Now button as soon as possible, or you can use script below or you can also download PaisaWapas chrome extension . Product will be added to your shopping cart. Finally place your order by paying Rs.1 only. If not, you won’t be able to grab the flash deals when it happens on 17 – 19 Oct.
Mi 1 Rs Flash Sale on Mi Phones and popular accessories at 2pm everyday! So many people are looking for Mi 1 Rs flash sale, I have to say you are in the right place. Our extension and script listed below will help people to buy their products from flash sales. Now we are also providing our auto buy feature in Trick to buy Mi 1 Rs Flash Sale on every mobile. This Mi 1 Rs Flash sale will take place on 3-days with 3 different mobiles. First and foremost step is to register for the sale before 18th Oct by clicking on Share button on Mi Flash Sale Page. WIFI connectivity is best option but if you are using mobile internet then activate small 3G or 4G plan for best performance and assurance. You will see a popup box on bottom right corner. How to Apply Mi 1 Rs Flash Sale Script to buy Redmi 3s prime, Redmi Note 3 & Mi4?